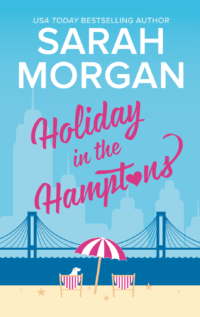 Holiday in the Hamptons out today in the US, plus discount coupon code! Subject: Holiday in the Hamptons out today in the US, plus discount coupon code! Can you believe we’re almost at the end of summer? The good news for my US readers is that Holiday in the Hamptons is out today, which means you can extend summer for a little longer. This book was so much fun to write. 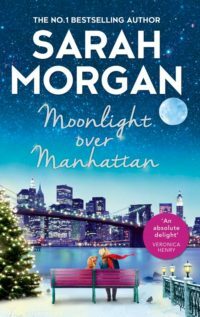 My heroine in Holiday in the Hamptons, Fliss, is a twin, but she couldn’t be more different from her sister Harriet (her story is in Moonlight Over Manhattan, coming next!). What could be more interesting than two people who are identical on the outside and yet totally different on the inside? Fliss is a fighter and protective of her sister, but deep down she has her own vulnerabilities. When her ex-husband appears on the scene, she’s forced to confront issues she’d thought she’d left behind. But Fliss isn’t the same person she was at eighteen (are any of us?!) and she is about to learn just how much time, and life, alter things. I hope you love Holiday in the Hamptons! 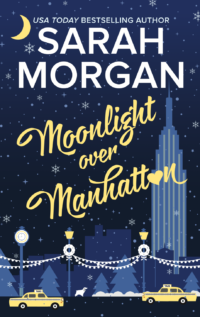 The final book in my New York series, Moonlight Over Manhattan is already up for pre-order. *Offer valid on the print or ebook version of HOLIDAY IN THE HAMPTONS by Sarah Morgan from Aug 29, 2017 at 12:01 a.m. ET until Sept 30, 2017, 11:59 p.m. ET at www.Harlequin.com only. 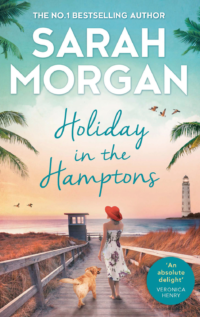 The Customer will receive $1.00 OFF the list price of HOLIDAY IN THE HAMPTONS by Sarah Morgan in print or ebook on www.Harlequin.com with the HAMPTONS1 coupon code. Sales tax applied where applicable. Quantities are limited. Valid in the U.S.A. and Canada only. All orders subject to approval. ‹ Chance to Win Books and a Kindle Fire or Nook Tablet!